Pecan trees grow between 13″-24″ per year and at maturity can be as tall as 100′! These trees produce nuts in about 6 to 10 years and can produce up to 150 pounds of pecans a year! These nuts turn from bright green to brown when ripened and are safe for human and wildlife consumption. 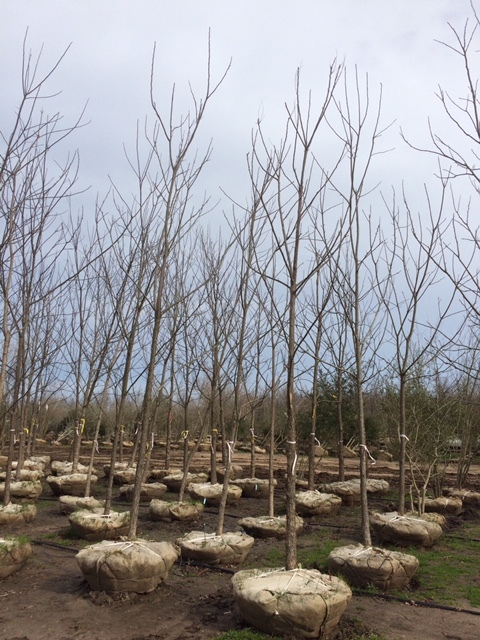 Full sun and acidic, silty, loamy, moisture rich soils aid in the growth of these large trees. Pecan trees have a lifespan of 300 years!